This article has been written by guest writer Laurence Crouch. A valuable piece. 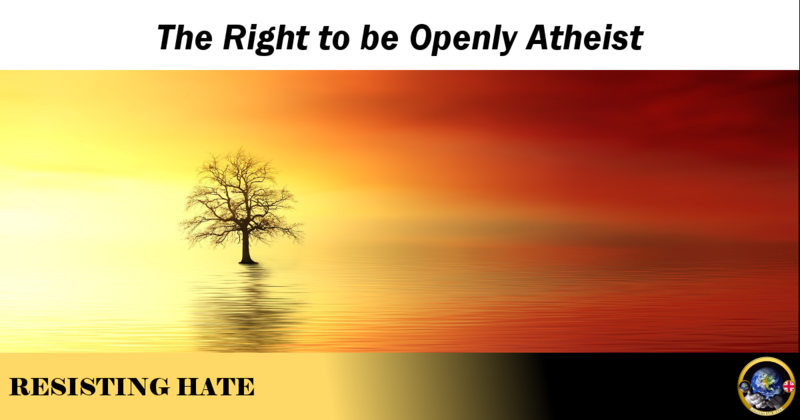 We regularly highlight the rights of people of faith but it is equally important that the rights of atheists to their own beliefs are also not overlooked. As I’m sure most readers of this site will agree, hatred, violence and oppression should be resisted at all costs in our society, and those who most desperately need standing up for against this are vulnerable and underrepresented minority groups. Well, I agree and the reason I wanted to write this piece is that one such group is being massively let down currently by exactly the kind of decent, liberal and progressive people who should be standing up for them. That group is, broadly speaking, atheists, secularists, humanists and other freethinkers living among conservative religious communities. These people are routinely persecuted for doing nothing more than openly stating their lack of belief in the prevailing religion, and their disdain for the ideologies that demand, in many cases with threats of death either from religious and legal authorities or from vigilante mobs, that they shut up and remain silent. I myself have had the incredible luck, which I’m very aware of and grateful for, to have been brought up by open minded parents in a society that allows me to express my lack of religious beliefs openly and without any threat of violence or societal rejection whatsoever. I would generally describe my views as pro-human rights, pro-individual freedoms, and pro-science, especially in terms of how modern science is increasingly casting light on the fundamental unity and common ancestry of the human race. In fact, I don’t think the word ‘atheist’ should even need to exist, and that it should be up to ‘theists’ to prove the existence of their gods or goddesses, rather than the other way round. But I accept this is not how things are in the real world as it stands at the moment, and I do see the need to use this word for the time being when speaking up for the rights of non-religious people. It doesn’t take long to find examples of this kind of persecution of non-religious people in religious societies, and I think it makes good sense to start with oppression that comes from the highest and most powerful places – national governments and their legal systems, many of whom single out atheists and non-believers for prosecution. Take Saudi Arabia, for example. Their official position is that atheists should be prosecuted as terrorists – yes, that is the exact word they use – for doing nothing other than publicly and peacefully stating that they do not believe in God. Here is the Saudi ambassador to the UN on Al Jazeera News publicly defending this position. The case of Raif Badawi – a human rights activist who was sentenced to 10 years imprisonment and 1000 lashes in 2013 for insulting Islam – is just one of many examples of those who suffer from this kind of tyranny. His crime was to start a website and internet forum that promoted human rights, freedom of conscience and expression, and called into question the legitimacy of the religious authorities ruling the kingdom. Have a read of some of his key viewpoints here and see if any of them sound like the words of someone who deserves that kind of punishment to you. And just imagine if the tables were turned, and the UK ambassador to the UN claimed that all Muslims should be prosecuted as terrorists simply for openly stating their religious beliefs. There would be outrage and he would be, quite rightly, instantly fired from his position. But the equivalent statement the other way round is mostly met with silence from the kind of liberal and progressive groups who should be the very groups making the most noise on the subject. Another country which has very recently singled out atheists for persecution is Egypt. In January this year the government committee in charge of governing religious affairs proposed a new law, on top of the existing general laws against blasphemy, specifically for the purpose of ‘combating atheism’, which would make the mere lack of belief in God a jailable offence. Again, imagine if senior lawmakers were trying to push through laws which made it an offence to express one’s belief in God, it would be rightly met with outrage and condemnation. Where is the support from social justice groups for those suffering from these laws, such as the student arrested for advocating atheist ideas online, or another young man now seeking asylum in the west, fearing for his life after having the bravery to appear on national TV in Egypt to defend his right to think for himself instead of automatically having to adhere to religious doctrines? And even where the actual legal system of these countries does not manage to track down atheists, sadly there are often vigilante mobs of religious extremists all too keen to do the job instead. In very recent times, atheist and secular campaigners have been hacked or beaten to death by gangs of angry religious fundamentalists in Bangladesh, Pakistan and the Maldives. Anyone who follows the work of groups supporting those who face difficulties after leaving their religion can see that problems occur in many different religious communities. 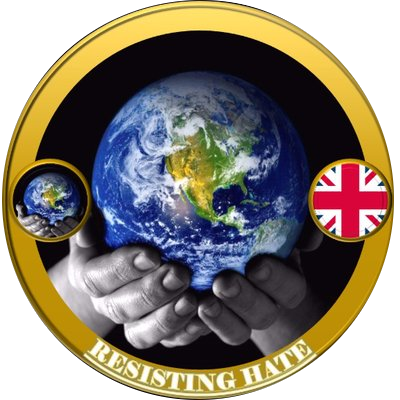 In the UK, one such group that I admire and support is Faith to Faithless, who work to give a support network to those who have been ostracised from their communities because of the decision to renounce their religious faith. You start to notice that most religions based on strict dogma have an in-built system for rejecting, other-ing and creating an ‘us-and-them’ dynamic between believers and those who become non-believers, including specific terms for those who renounce their faith. To give a couple of examples, ex-Jehovah’s Witnesses are referred to as having been ‘disfellowshipped’ and ex-Orthodox Jews are referred to having gone ‘off the derech’, meaning off the ‘path’, and many are completely disowned by their families and communities, often leaving them with little or no support network. Mental illness and suicide are sadly, yet unsurprisingly, some of the consequences of this. While I can see how the reluctance to speak out may come from a place of good intentions, in not wanting to offend religious sensitivities, it also comes from not being clear enough in understanding the massive difference between criticising a set of doctrines, and hating the people who believe in those doctrines. The former should be everyone’s right, and the latter should be resisted with all our energy. If this reluctance is something you can relate to, then I’d ask how you view the non-believers coming from other religious groups I mentioned above, and going back much further in time, the dissidents of the Renaissance in Europe who spoke out against the doctrines of the Christian church that demanded, and often implemented, their deaths for being heretics and blasphemers? How are the activists defying the authority of Islamic doctrines today, and campaigning for religious dogma to be replaced with rationalism, secularism and human rights-based frameworks, any different or any less worthy of support? My overall point is this: anti-hate groups quite rightly speak out when absolute ugliness such as the “Punish a Muslim Day” hate letter directly inciting violence towards Muslims started circulating in the UK recently, or when anti-Muslim violence occurs such as the Finsbury Park terror attack on worshippers outside a mosque. But by not including certain other oppressed groups, such as atheists coming from conservative religious societies we concede ground to the far right by allowing them to make such issues ‘theirs’ and give them the opportunity to claim they are listening to and standing up for the groups that the “politically correct left don’t care about”. 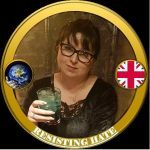 I think it really should deeply worry any left-leaning liberal person, in which category I include myself, that non-believers in the UK are turning to rightwing nationalist groups such as For Britain to have their voices heard, and that the most prominent political figure specifically naming this group as one that needs supporting is none other than Anne Marie Waters. (Have a listen here, here and here for just a few examples if you don’t believe me.) Two questions spring to mind. Firstly, how have we arrived at a situation where atheists coming from ethnic and religious minority communities are so desperate that they are now starting to seek support from the far right? And secondly, if this fact angers you, then where is your voice speaking up for these vulnerable and highly marginalised people? Excellent article. I am a Quaker. Among Quakers are an increasing number of members who are ‘non theist. All views are treated with respect. Thank you. Our guest writer has done a great job of highlighting a community who often get overlooked when it comes to talking about rights. It was thought provoking to read your well sustained and passionate arguments. Have you any other causes about which you feel so strongly? We would be interested to hear. This guest article has been very well received, thank you. I would definitely encourage this author to write for us again.